Warning Notice: this is a self-serving personal shout-out about the availability of my book in a Limited Edition Book + Photograph set. You may find yourself spending a small amount of loot while yet making a wonderful investment so be warned before proceeding any further!! I recently published two small versions of a Limited Edition Book + Photograph Set in conjunction with my hardcover book Ciociaria. The edition size for both versions is 25 and I choose two photographs which were not included in the the book. 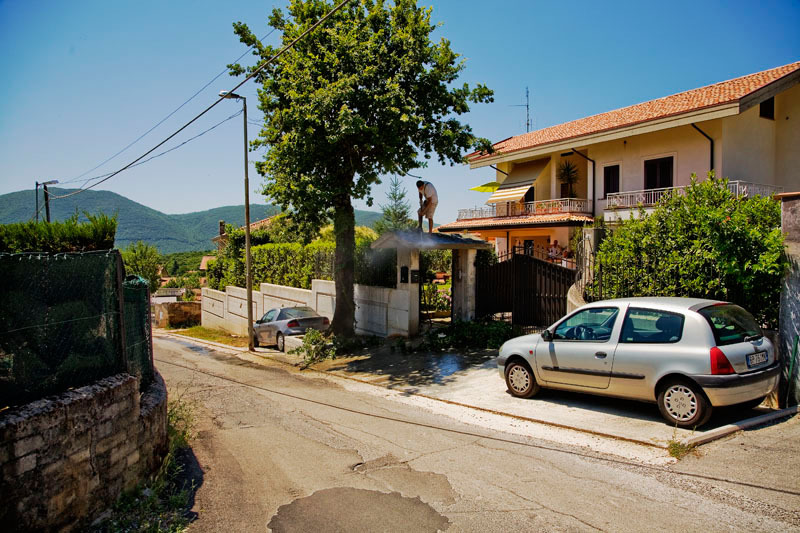 The photograph and book are signed and numbered with the photograph an archival pigment print. After a number of discussions with Susan Burnstine during the development of this Limited Edition set I opted to go with an inexpensive version to keep my costs lower and a provide a reasonable price of $150.00 per set. The initial interest in the two Limited Edition sets is good and I am nearing the halfway point for selling the editions. I can’t say they are selling like hotcakes yet but are doing well enough and building a small reserve fund to finance my next book that I hope to be able to announce shortly. The Fiuggi Edition photograph below, was an interesting turning point for me while working on this project. I had been deferring to a more topographical investigation of the memories of this area, which is to say photographing the urban landscape without the presence of any individuals. As this scene unfolded before me it spoke of another way to create a narrative as to how memory is preserved. But as book designs go with the choice, pairing and sequencing of the images, this photograph did not find a good home within the book. So it seemed a nature to include this as a special edition. The other version of the Limited Edition is the Morolo Edition that includes the photograph below. 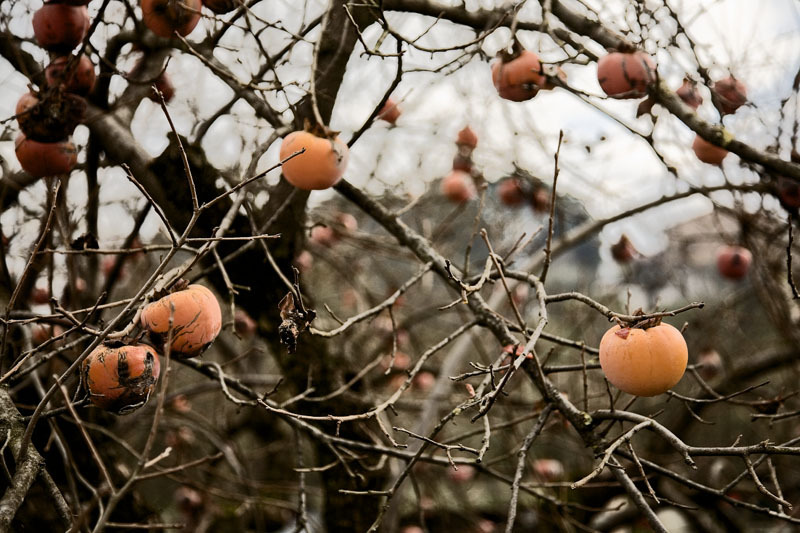 I saw this lyrical web of branches with the different phases of the decaying fruit and hints of the surrounding residences. It speaks to the past memories intersecting with the current moment. 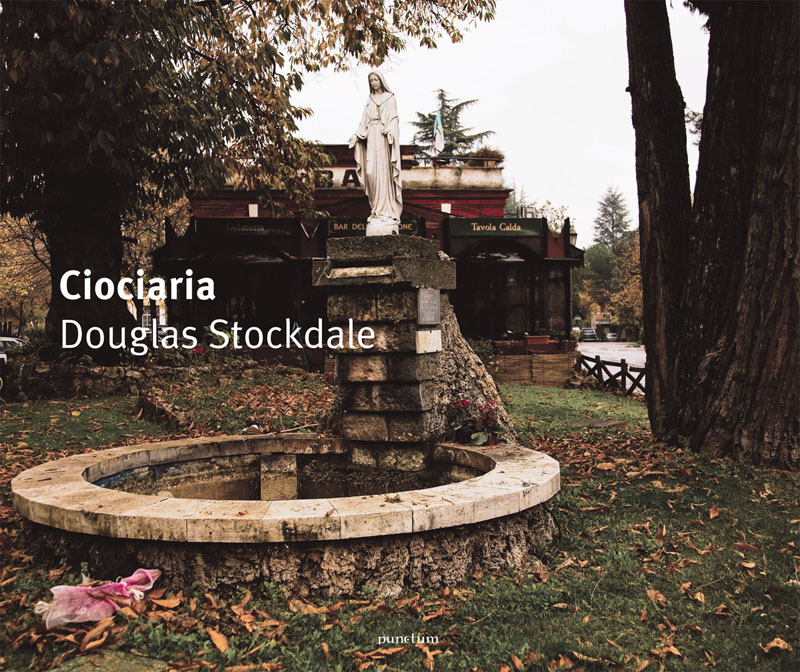 The Limited Edition Book + Photograph sets of Ciociaria will be available from specialty photographic bookstores. The standard hardcover book at $55.00 is currently available at photo-eye. Additional interior photographs from the book and links to some of the book reviews can be found here. Check back as I expect this bookseller list to grow. What a beautiful photo you´ve included in the Morolo Edition! Love the 2nd picture. The man is also caught cleaning roof. Real nice… I think I will start taking picture again and start collecting them again in my Photo book.